The love of pasta is worldwide, and considering it is easy to make, it is one that is enjoyed in almost every country, and each has its special, unique way of serving this popular food. In Hungry and Germany they serve spaetzle, and in Greece, they have Orzo, in Poland, it is perogi styled. 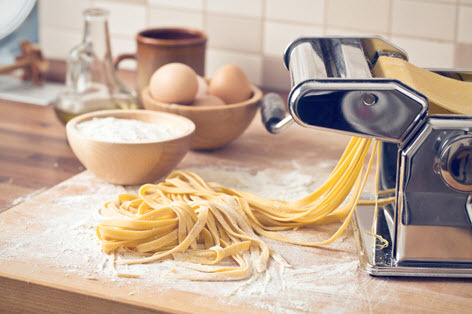 Italy, of course, is best known for its love of pasta. 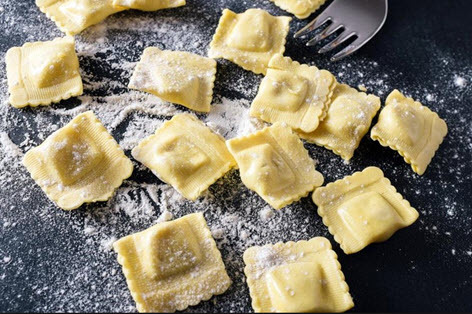 There is a multitude of pasta dishes to delight taste buds, and many are specific to different regions and include spaghetti and meatballs, ravioli and many others, all in different sizes and shapes. The history of pasta makes it impossible to determine where it originated from, but regardless, it is one that is loved by millions and is a staple part of their diet. Simply put, pasta is considered Italian food and with it steeped in tradition with Italian families that is unlikely to change. Most historians believe that pasta originated from Asia. The common feeling is that when Marco Polo returned from his travels to China that he returned with it. The book written by Polo in the 13th century made mention of a “plant” that produced floor and that the Chinese used that to create a flour-based product similar to barley flour. In his book, he mentioned that they used the floor to create a pasta-like dish that was identified as “lagana”. While his original writings are no longer in existence, the story had been told by many experts and authors. That is combined with pasta already showing popularity in the 13th century, a fact that supports the Marco Polo theory. It was known that noodles were in existence in China well before Marco Polo travelled to Asia. Many archaeologists feel that noodles originated in China based on findings from thousands of years ago. It is also known that noodles made their way west towards Europe but how it reached the continent in unknown but well theorised. Some believe that is was nomadic Arabs that were responsible for its arrival. Once pasta reached the Mediterranean, the floor was refined into durum wheat and that became the choice ingredient for pasta due to its long shelve life and high gluten content. After durum wheat is dry, it can last indefinitely, and that makes it a versatile product, and one well documented in Italian history. As the centuries passed, it grew in popularity throughout the world due to its cost being inexpensive. That made it one that was easily stored, both for its cost and its shelf life. Italy is known for its warm climate, and that makes the growing of fresh vegetables easy and ideal for pasta dishes. 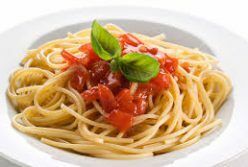 As time went on, Italians grew found of rich pasta sauces, and that remains today with tomatoes being its main ingredient within pasta sauces.